Oftentimes, people with the greatest potential take the longest to find their path and discover themselves. They wander through life unaware of their talent, or even worse, neglecting and ignoring it. The soul of every human, however, knows nothing about deadlines and our moment of revelation comes sooner or later in our lives. It’s up to us what to do with it then. In football it’s essential that talent is identified and nurtured from an early developmental stage in order to reap the rewards from it later. That said, it’s still commonplace that late bloomers burst onto the scene and defy this theory. 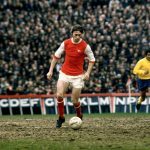 The likes of Jamie Vardy, Ian Wright, Didier Drogba, Marcos Senna, Miroslav Klose, Rickie Lambert, Carlos Bacca, Fabio Grosso and Aritz Aduriz are just some of the names that come to mind when talking about late bloomers. However, none of the aforementioned footballers can compare to Dario Hübner, a player who, at the age of 35 and while regularly drinking grappa and smoking a pack of cigarettes daily, became top scorer in world’s strongest league. In the 2001/02 season, Serie A could boast forwards such as Andriy Shevchenko, Christian Vieri, David Trezeguet, Alessandro Del Piero, Vincenzo Montella and Hernán Crespo amongst other prominent names. It was safe to bet on one of these greats claiming the capocannoniere award at the end of the campaign, but only Juve’s Trezeguet managed to share the top step with Hübner, with both of them finishing the season with 24 goals. It was a remarkable feat for the Piacenza front man who was a relatively unknown figure in football before he announced himself to the world in his 30s. He was a player who never truly believed in his talents until others around him convinced him otherwise. Everything about Dario Hübner was a bit unusual. He is an Italian with a German surname hailing from Muggia, an Italian town populated by Germans, Slovenians and Croatians. Dario, though, never learnt German. Hübner didn’t do much studying in school, and a day after he finished the eighth grade, he started working in an aluminium factory as an apprentice. Even as teenager he was never really ambitious and quickly accepted that he would have to earn his living through hard labour and physical work. He didn’t mind, though, and as the years went by, he was content with his life. Ten hours of work every day, then off to meet his friends to take a few sips of grappa and play football. On the weekends he played for an amateur side in Muggia before moving to their local rivals Pievigina. Even though his lumpish and clumsy appearance was often the subject of ridicule, a few friends he had were aware of his qualities and gave a call to Pergocrema’s – in Italy’s fourth tier – head coach to visit them and take a look at Dario in their upcoming game. The head coach was impressed with Hübner after the game and was in desperate need of a striker with his characteristics. The Italian accepted to go on trial in Crema. He had some spare time and nothing to lose. At the age of 22, Hübner quit his job at the factory and signed his first contract with Pergocrema. A year later he went to Fano, also in Italy’s fourth tier, where he had the opportunity to work under the auspices of Francesco Guidolin, who made him work harder than ever. Organised, professional training eventually paid off for both Fano and Hübner, who grew stronger as a player and sharpened his instincts in front of goal. He was the league’s top scorer and his goals propelled his side to promotion. Guidolin, however, never managed to convince him to quit smoking and Hübner was often seen lighting a cigarette even when he was on the bench. In 1992, after three years at Fano, Serie B side Cesena secured Hübner’s signature for the next five years. It was a big step forward for a man who not long ago imagined working in a factory for the rest of his life and who played football merely as a hobby. It was in Cesena that you could hear the crowd for the first time shouting and screaming his nickname, ‘Tatanka’. It was a name the Native Americans gave to a bison of particular physical built who was agile yet heavy and wrapped with thick dark hair. It was a fitting description of Hübner, who in the box was like a bison in a meadow, free to do whatever he wants. It was his natural habitat. “I like it, it suits me. I’m not exactly a synonym for elegance,” said Hübner, embracing a nickname that followed him until the day he retired. In each of his five seasons at Cesena, Hübner hit double figures, and in 1995/96 was Serie B’s capocanonniere with 22 goals, even attracting the attention of his beloved Inter. Despite having another prolific season, Hübner’s Cesena was relegated and he needed a change of scenery. Brescia came calling, which meant that Tatanka, aged 30, would feature in Serie A. Fate played its hand and decided that Hübner would make his debut in the opening week of the new season against Inter, a team he supported from his childhood. As a child, Hubner tried to emulate Alessandro Altobelli, the legendary Nerazzurri striker and a former Italian international. It was his time now to dazzle the Giuseppe Meazza crowd in the same manner his idol had done year before. But on that day, nobody could care less about Hubner and Brescia. It was all about one man. Ronaldo had completed a record-breaking transfer from Barcelona to Inter that summer and the city of Milan, and the whole of Italy, could witness the world’s greatest player stepping out on a Serie A pitch for the very first time. It was the start of the season in which all Inter fans finally hoped that their team, with Ronaldo leading their attack and with Djorkaeff, Simeone, Moriero, Winter, Zanetti, Bergomi and Pagliuca behind him, could claim the Scudetto after a nine-year hiatus. 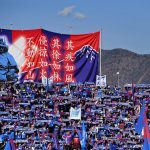 They wanted a comfortable win over a newly-promoted side and to send a message to their rivals at the start of the campaign. It didn’t go according to plan. Serie A was not La Liga, Brescia wasn’t Compostela, and Ronaldo felt it on his skin immediately. The Brazilian was kicked all over the pitch and the Serie A newcomers didn’t allow him anywhere near the box. Inter couldn’t break the deadlock but were rarely troubled at the back, with Hübner nullified like his opposite number. The second half started in the same manner with Inter pushing even harder to score, but with the time ticking away, the home side became frustrated and nervous – and paid the price. Out of nowhere, Brescia scored a stunner in the 73rd minute. Some youngster by the name of Andrea Pirlo, who was introduced after the break, sent a pinpoint pass from the middle of the pitch and found Hübner, who, with his back to goal in the box, controlled the ball with his right knee before turning and firing past Italian international Pagliuca. The Giuseppe Meazza was in stunned silence. Interisti were slowly preparing for an unpleasant surprise on that afternoon, but thankfully they had another gem on the bench waiting to make his debut too and help his side to salvage anything from the game. Álvaro Recoba entered and scored two breathtaking goals to bring Inter a victory and grab the headlines for himself. Sadly, few remember Hübner’s goal that day. Hübner, though, showcased all of his skills the following week as he put three past Sampdoria, silencing his doubters and proving that his goal against Inter was no freak occurrence and that calcio had space for another predator. In his first season in Serie A, the Italian demonstrated that he was as good as any of the strikers that were playing for the top sides in the league. He didn’t have the pace or the ability to dribble past an opponent, and his work-rate off the ball was questionable too, but no one could deny his eye for goal or his movement in the box. He was, of course, an aerial danger, but could also make timely runs behind the defence, shoot with power and precision, and with both feet. Just like Tatanka, he is a dying breed; an out-and-out striker who knew and only wanted one thing on the pitch, to find the back of the net in any way possible. Hübner fought battles with defenders as great as Paolo Maldini, Lilian Thuram, Fabio Cannavaro, Alessandro Nesta, Paolo Montero and Aldair, and often came out as a winner in those duels. Sadly his 16 goals during the campaign were not enough to save young but talented Brescia from relegation. It was expected that Hübner would leave Brescia, but despite his fruitful season, he was widely considered a one-season wonder in Italy. Once again, he was back in Serie B. Over the next two years in Serie B, Hübner was ever-present for Brescia as he netted a total of 42 goals and brought them back to Serie A for the 2000/01 season. The management learnt their lessons from past errors and added necessary experience to the squad. The most thrilling piece of business that summer was acquiring the services of one the most imaginative attackers that Italian football ever had, one Roberto Baggio. The Divine Ponytail and Tatanka together – it was the stuff of dreams. They represented two forwards who were dismissed by many, believing that they had nothing left in their tanks and little to show at that stage of their careers. Needless to say, they were wrong. Angels were singing when they played together. They delivered 27 goals between them, and with the aid of Andrea Pirlo as the conductor of the team, they led Brescia to their most successful campaign in their history by finishing seventh and qualifying for the Intertoto Cup. Sadly, it was the only season that Hübner and Baggio played together. Hübner knew for some time that his days were numbered at Brescia and that he would have to make way for a young Luca Toni. He had just turned 34 and former club Piacenza offered him a route back. For Brescia, it was surely the right time to sell. Wrong. During the following season, Hübner was in the form of his life, tormenting defences across the country and catching the eye of Italy boss Giovanni Trapattoni. 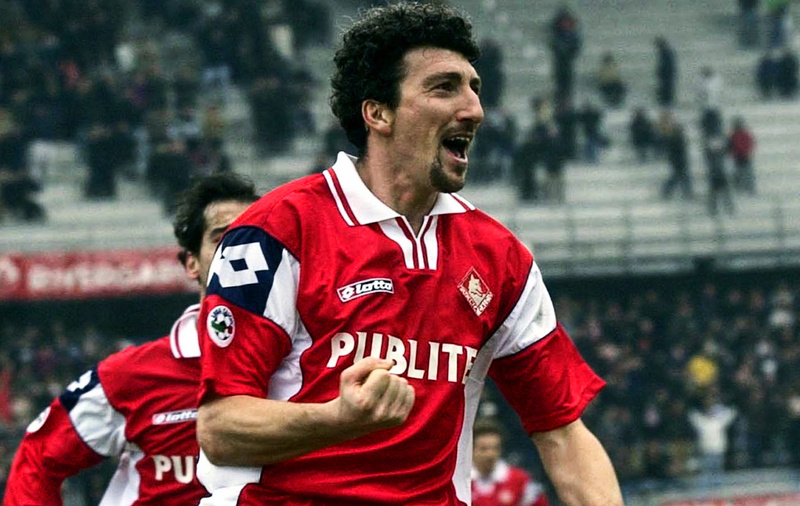 The public wanted to see Hübner in an Azzurri shirt for the upcoming 2002 World Cup; after all, he had just plundered 24 Serie A goals and saved Piacenza from relegation. Trapattoni, however, didn’t succumb to the enormous pressure. To some extent, you can understand the veteran Italian manager’s decision as he already had the likes of Francesco Totti, Pippo Inzaghi, Vincenzo Montella, Del Piero, Vieri and Delvecchio in his squad. Hübner played in an era when calcio ruled the world – far removed from today’s squad, which he would surely have featured in. In a surprising twist, AC Milan invited him on tour to the US that summer after the World Cup. Hübner went, but he never ended up signing a contract – his smoking putting Carlo Ancelotti off and the role of backup player not suiting his late-career renaissance. Hübner returned to Piacenza and enjoyed another impressive season, scoring 14 goals. With the end nearing, Hübner, who was once almost lost to football, found it difficult to let go and retire. Just like his grappa and cigarettes, football was one of his biggest vices. After Piacenza he went to Ancona, who soon declared bankruptcy, then to Perugia, Mantova and a number of other lower league sides and amateur clubs.